Brilliant green ribbon with yellow edge. 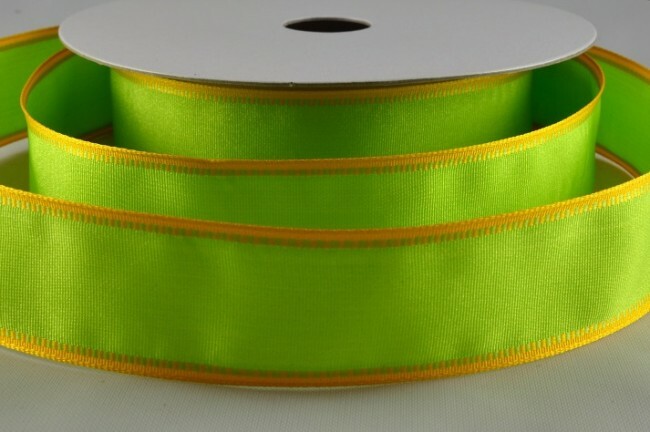 63910 - 25mm Green Body With Yellow Edge Strip (20 metres) Brilliant green ribbon with yellow edge. Rolls are spooled with 20 metres of ribbon.